Teimas is a technology company that creates, develops and markets software and hardware solutions for the recovery and recycling sector. 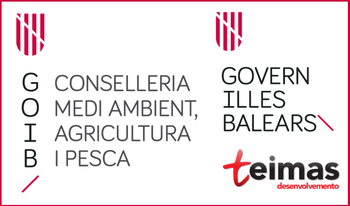 Its products are aimed at companies and public institutions and to increase the involvement of citizens in the area of ​​reuse, reduction and recovery of waste. 2014 Teixo Green Point (Teixo GP) mobile application for registration of waste delivered to clean points. 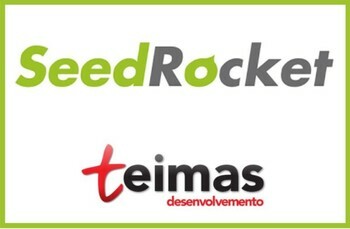 Teimas associate and manager with over 12 years of experience in the application of communication and information technology to the waste sector. Responsible for business strategy and new business initiatives, Miguel is still closely linked to the commercial activity. With over 15 years of experience in consulting and software development, Iago leads the teams developing new products, from technological options to the management of the project itself. Ricardo has more than 12 years dedicated to software development, specialized in J2EE technologies and the waste sector. Responsible for projects for public bodies. He also participates in other projects like Teixo or Green Troop. Real wildcard in the technical part of the organization. In addition to contributing to the software development, Vicente acts as a technological enabler, bringing his extensive experience in designing complex software and systems. Dani is a computer engineer with more than 5 years developing software in Teimas. Currently in charge of the new features and Teixo maintenance. Developer in multiple disciplines for 10 years, Joaquin is part of the technical team for creating new projects. Computer Engineer since 2015, Brais brings and increases his expertise in software development projects and products for Teimas. In addition to his personal experience in application development, Andrés is starting his career in Teimas in development and product support for its portfolio. After finishing computer science in the summer of 2015, David has joined Teimas to perform tasks supporting several projects developed by the company. Inmaculada Rua has a degree in law (Master in MBA) and has developed his work in the private sector over the past decade. A person of great social commitment that coordinates the department Teimas Support. Having 3 years of experience in the field of administration and finance, Lidia is responsible for all matters relating to the administration and organization of Teimas. Chemical Engineering (Master of Environmental Engineering) dedicated throughout her career to the environmental sector. As an environmental educator and researcher in environmental pollution she is, in Teimas, the visible face of Tropaverde. With a Degree in Audiovisual Communication (master in Studies of Literature and Culture) and recently graduated as Multiplatform Application Developer, Gonzalo combines communication, design and programming at GestoresDeResiduos.org. We committed to Teixo and the results could not have been better. It is a very convenient and intuitive program which results in savings in time and resources from day one. They have solved specific needs of our service with the greatest swiftness. José Manuel Portas - Operations Manager at HIGIÉNICA DE BIOSANITARIOS, S.L. Teimas has a great human and technical team that provides excellent products and solutions. 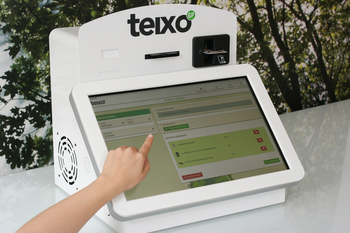 Teixo has revolutionized the way waste managers work. Paulo Castro - Managing Director in RECUPERACIONES ECOLEX, S.L. We would't know, no longer, to work without Teixo, and thanks to the training I received from those responsible for supporting and every time I call to ask any questions or clarification, our work seems now a children's game. Teixo is a great tool that helps us control and speed up our daily activity. Now we can have control over the documentation generated during the waste management process. Teixo allows us to be up to date with the law changes. We would also like to remark the human team responsible of the technical support service. It is hard to summarize our experience with Teimas in a few lines. It's very positive. They provide us with a proficient profesional team that gives solutions to their clients in a timely fashion. The managing software is versatile and intuitive, which expedites the operational process. Gregorio Fernández - Manager at LOGIRAEES S.L. y TAXILEON S.L.